Anglo American needs a dealmaker chief executive to unlock value. It may be tempting to replace Cynthia Carroll with an operational obsessive who can deliver big projects. That’s where the outgoing boss struggled. But what the miner really needs is someone who can think the unthinkable – like demerging its troubled South African platinum business and finding a strategic buyer for the rest. The case for appointing a seasoned project manager is superficially attractive. Carroll’s unpopularity has a lot to do with her handling of the challenging Minas Rio iron ore project in Brazil. But Anglo’s biggest problems there, and in South Africa, where months of labour strife have hobbled its already-struggling platinum business, are bureaucratic, socio-economic and hard to solve. This is reflected in a hefty share price discount. The stock trades on a forward cash flow per share multiple of 4.9 times – 29 percent below its big mining peers, according to Reuters Starmine. Companies shouldn’t generally run themselves to be taken over. Yet in Anglo’s case there is a clear opportunity to unlock value by splitting off the poison-pill platinum business and auctioning the rump. Breaking up Anglo by handing its 80 percent stake in Anglo American Platinum, the world’s largest producer, over to shareholders could be controversial in South Africa, where the group is a huge employer. The move could be seen as a slap to the country. But it shouldn’t be impossible. Anglo shareholders should be happy to be left holding two pieces of paper: one an option on an eventual turnaround in platinum, the other a viable, re-rated core business with attractive assets in copper, nickel, iron ore and coal, plus the world’s biggest diamond business. “New Anglo” would be even further behind super-giants like RioTinto and BHP Billiton in production terms. But the company would also be an attractive acquisition target for either Xstrata or, as seems likely, a newly-enlarged Glencore. It would take a skilled dealmaker to smooth the way towards a platinum exit and extract a full price for the rump from Glencore boss Ivan Glasenberg. Anglo strategy director Peter Whitcutt, a soft-spoken South African who steered Anglo through a political minefield during its recent showdown with Chile’s national copper producer, looks like a benchmark internal candidate. He was closely involved in Anglo’s defence against Xstrata’s merger approach in 2009. Either way, it’s clear what kind of leader Anglo needs. Anglo American warned on Nov. 13 that total spending on its giant Minas Rio iron ore projects in Brazil was likely to top $8 billion - currently the high end of most analysts’ forecasts. The Anglo-South African miner said it was carrying out a “detailed review” of cost estimates for the project. The update on Brazil came as Kumba Iron Ore, Anglo’s majority-owned South African iron ore arm, issued a profit warning. Kumba said full-year earnings were likely to fall 20 percent after a wildcat strike. 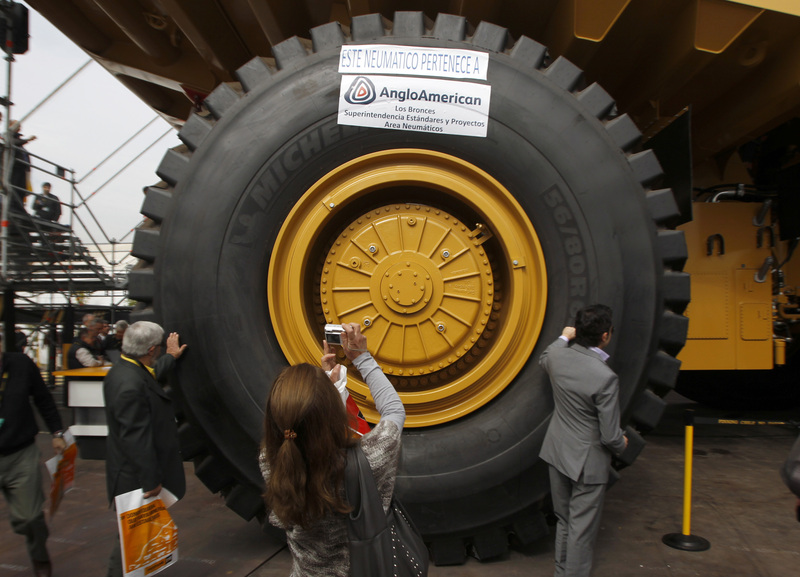 Anglo, which recently announced that its chief executive, Cynthia Carroll, would step down next year, repeated an earlier forecast that it expected to ship the first ore from the much-delayed project by the second half of 2014.